Are airport lounges worth the price? I talk about airport lounges on the blog quite often, when many of my readers are not familiar with them or are not sure if they provide value. I am a big fan of airport lounges; sometimes. See before I even started the travel hobby in depth I didn’t even know you can get an airport lounge and chill before your flight. For those not familiar with airport lounges, like I was a few years ago here it is. Airport lounges are places within the airport where you can relax and enjoy a quiet space, to work, read or even shower. All lounges offer ‘free’ food /snacks, drinks and internet and some of the larger ones offer much more than this with spa options, showers and a restaurant experience. Airport lounges are usually perks for elite frequent flyer status members of airlines, or part of your credit card offer or some lounges can be bought standalone. However not every lounge is a good value or the same. All big airlines have a flagship lounge which is only available if you are flying in business / first class with the airline or if you have a frequent flyer status with them. 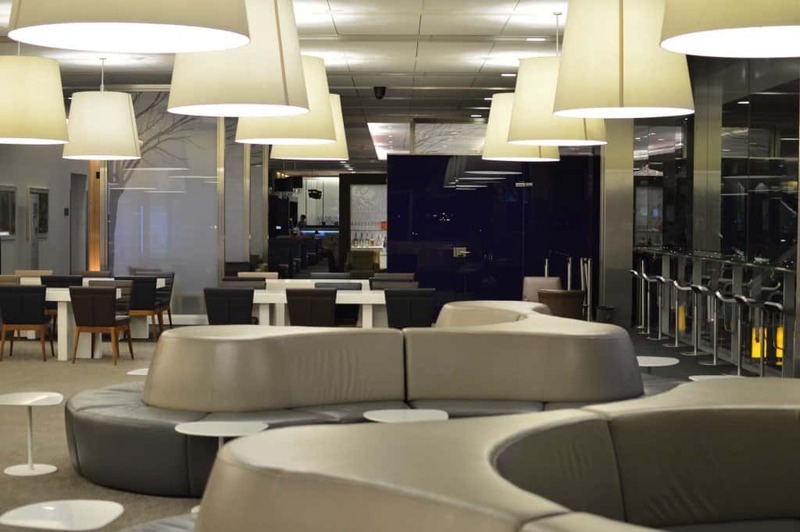 Usually, the base flagship lounge is amazing like the one in Doha for Qatar Airways, or Virgin Atlantic the Clubhouse in London and many more. You cannot visit these lounges unless you meet the above requirements. Many credit cards offer a bonus membership with companies which provide lounges. American Express Gold, for example, offers 2 free entrances per year, where the Amex Platinum offers unlimited visits (of course there is a price difference in the membership of the card). Many USA cards provide other offers and other credit cards around the world have different rules for offers on lounges. You can also buy a membership for airport lounges from third party standalone companies like PriorityPass and in the UK you can buy at the door of the lounge (although many times it’s more expensive). These lounges are usually not as nice as the airline ones but still are decent and offer all the facilities. I love the app LoungeBuddy which reviews airport lounges and categorises them by the facilities and your status. The average price I have seen for a lounge is around £20 per person for 3 hours use if bought at the door. Which in many cases is expensive. If you have a membership card with one of the cards, in my case I have Amex Gold, I get the 2 two visits free and every other at £15 per person. If you visit many lounges per year but you don’t want to get the charge card, in my opinion, Priority Pass works cheaper than buying a stand alone. When I had signed up for the Amex Platinum card they had an offer for a status equivalent to BA gold. Which gave me access to the One world lounges around the world including the BA lounges in London. When I had this status I did make a use of the lounges very often. Since I redeemed and flew with BA it made sense to also use the lounge; because I wasn’t paying, I could stay from 30min to just have a coffee to several hours. Recently I visited the lounge in Sofia which is small and one of the below average lounges I have visited. I did have an Amex card and the stay was charged on my card which then charges me the £15 per person. Because we had a 3 hours delay, I had to work and it was super busy in the departures lounge we chose to visit the “executive lounge”. If it wasn’t for the above factors I potentially wouldn’t be bothering with the lounge since for £30 I could have had a party in the cafeteria downstairs. Many times I do pay for lounges especially when I have long layovers and I don’t want to be staying in the terminal. Or if the lounges are nice and new and I want to write a review for this site. Some airports are really expensive and if you are going to spend money on food and drink this can easily add up to the price of the lounge. For me, I definitely get more from a lounge than a meal in a restaurant in many cases. Recently in Dubai we spent £20 for a McDonald’s meal, if we had time I would have visited the lounge instead. I find airport lounges to be a very nice way to travel and I definitely make use of them when I have enough time. It is much more relaxing and if I need to work it’s a lot easier to find an empty socket to charge my phone or computer. I think the majority are worth it! Especially for the food. Love the one in Frankfurt! Just don’t like them if they’re too crowded. I’m way to cheap to use airport lounges but you have an interesting point of view! “If it wasn’t for the above factors I potentially wouldn’t be bothering with the lounge since for £30 I could have had a party in the cafeteria downstairs.” Ahaha I laughed out loud for that! It’s true, £30 is a fair amount of money. Even in an airport that’s a few beers and a snack right there. I love hanging out at airports personally, and never found the lack of a fancy lounge to be detrimental…but maybe I don’t know what I’m missing out on. You made me curious! You’re so right – not all lounges are created equal! I find that there are some airports that I can happily wander around in for a few hours (Bangkok and Hong Kong! ), but others I really just need to sit down and charge my phone/work on my laptop. It’s a great space if the airport itself doesn’t provide many options other than uncomfortable chairs at the gates! I’ve only ever gone into Airport lounges if they were comp’ed. If I ever have a really long layover though in the future, I’ll definitely be thinking about it, lol.